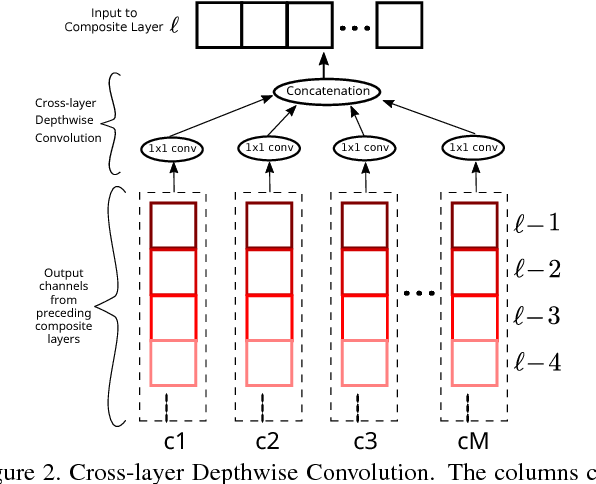 Convolutional-deconvolution networks can be adopted to perform end-to-end saliency detection. But, they do not work well with objects of multiple scales. To overcome such a limitation, in this work, we propose a recurrent attentional convolutional-deconvolution network (RACDNN). Using spatial transformer and recurrent network units, RACDNN is able to iteratively attend to selected image sub-regions to perform saliency refinement progressively. Besides tackling the scale problem, RACDNN can also learn context-aware features from past iterations to enhance saliency refinement in future iterations. 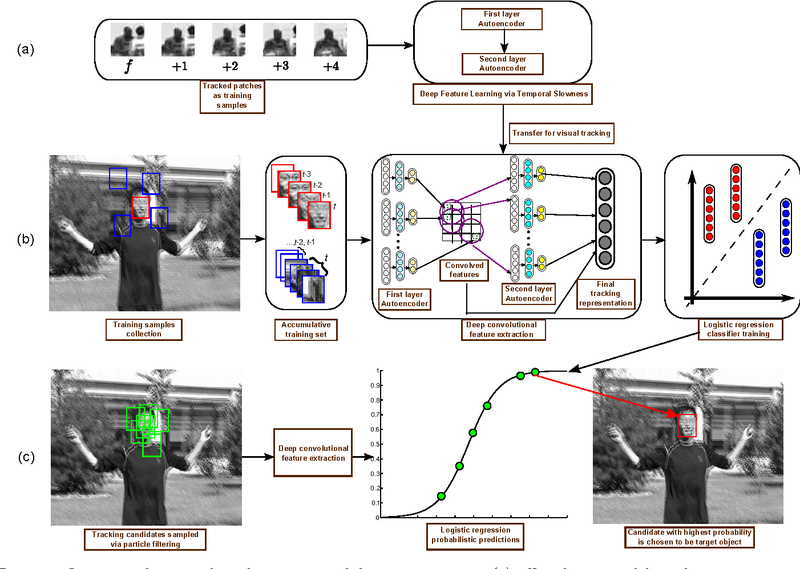 Experiments on several challenging saliency detection datasets validate the effectiveness of RACDNN, and show that RACDNN outperforms state-of-the-art saliency detection methods. Visual representation is crucial for a visual tracking method's performances. Conventionally, visual representations adopted in visual tracking rely on hand-crafted computer vision descriptors. These descriptors were developed generically without considering tracking-specific information. 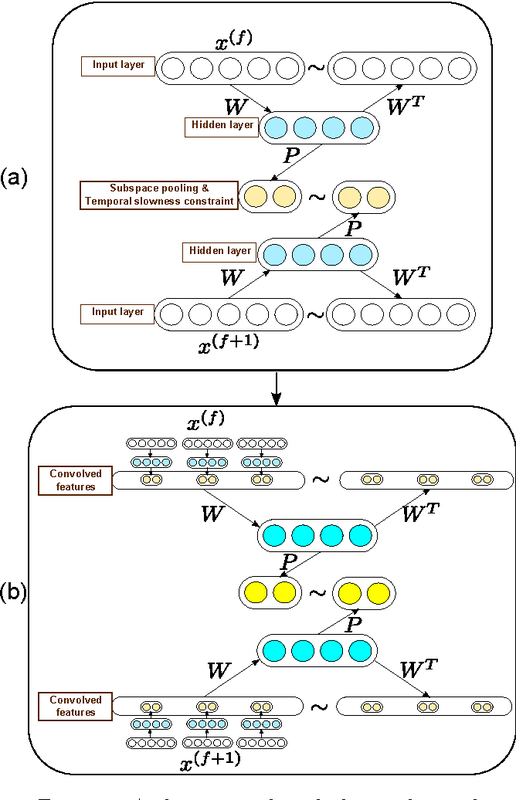 In this paper, we propose to learn complex-valued invariant representations from tracked sequential image patches, via strong temporal slowness constraint and stacked convolutional autoencoders. The deep slow local representations are learned offline on unlabeled data and transferred to the observational model of our proposed tracker. The proposed observational model retains old training samples to alleviate drift, and collect negative samples which are coherent with target's motion pattern for better discriminative tracking. 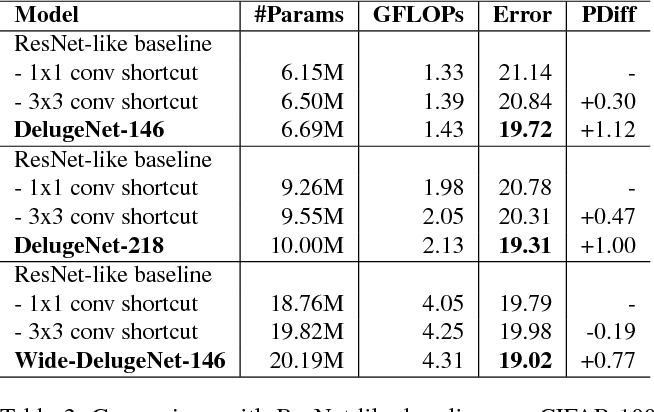 With the learned representation and online training samples, a logistic regression classifier is adopted to distinguish target from background, and retrained online to adapt to appearance changes. Subsequently, the observational model is integrated into a particle filter framework to peform visual tracking. Experimental results on various challenging benchmark sequences demonstrate that the proposed tracker performs favourably against several state-of-the-art trackers. It is desirable to train convolutional networks (CNNs) to run more efficiently during inference. 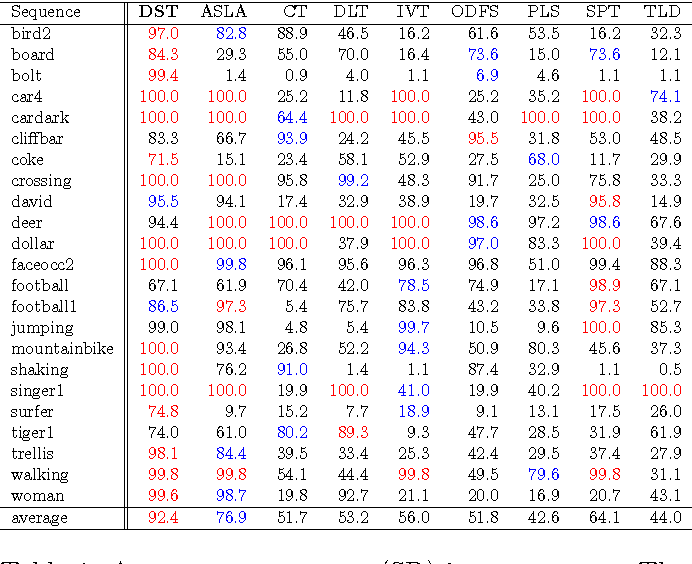 In many cases however, the computational budget that the system has for inference cannot be known beforehand during training, or the inference budget is dependent on the changing real-time resource availability. 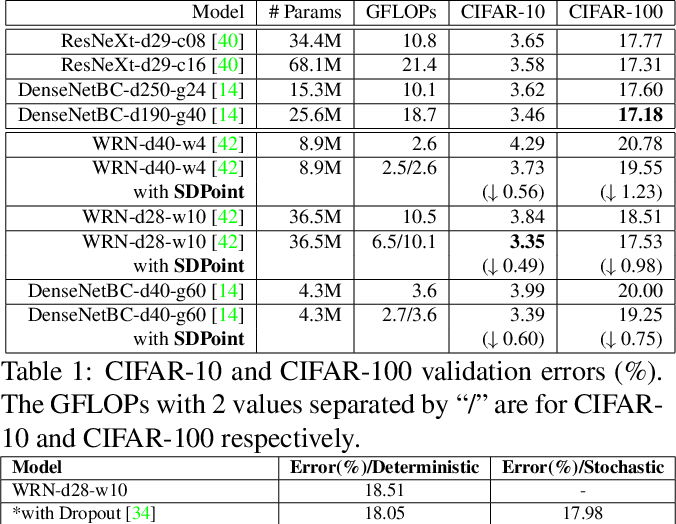 Thus, it is inadequate to train just inference-efficient CNNs, whose inference costs are not adjustable and cannot adapt to varied inference budgets. We propose a novel approach for cost-adjustable inference in CNNs - Stochastic Downsampling Point (SDPoint). During training, SDPoint applies feature map downsampling to a random point in the layer hierarchy, with a random downsampling ratio. 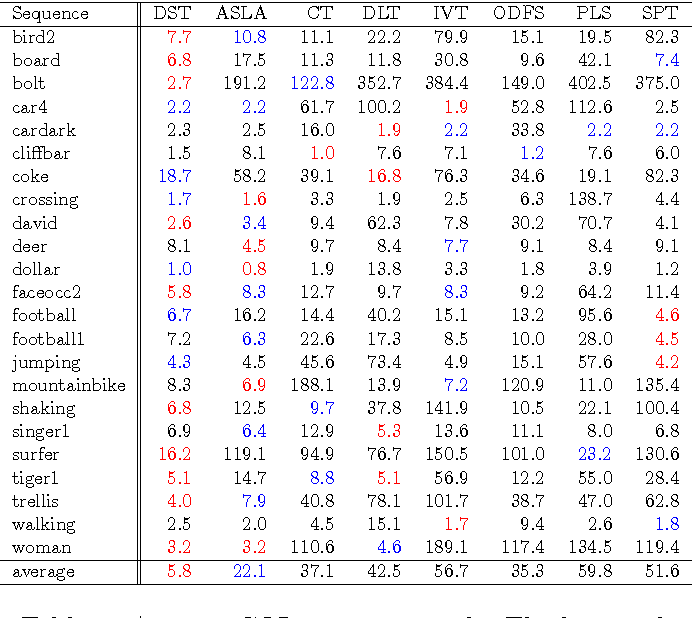 The different stochastic downsampling configurations known as SDPoint instances (of the same model) have computational costs different from each other, while being trained to minimize the same prediction loss. 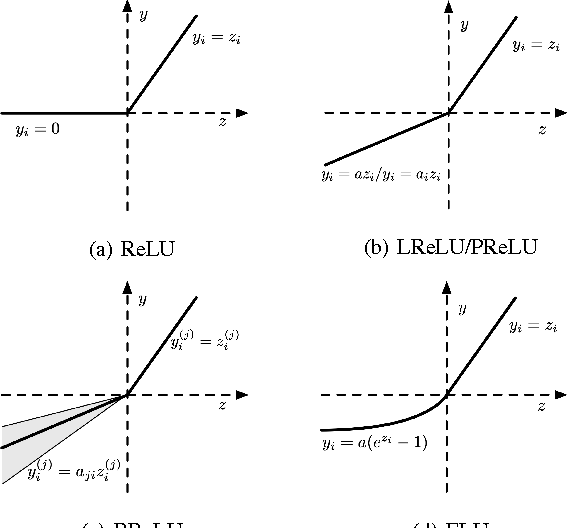 Sharing network parameters across different instances provides significant regularization boost. During inference, one may handpick a SDPoint instance that best fits the inference budget. 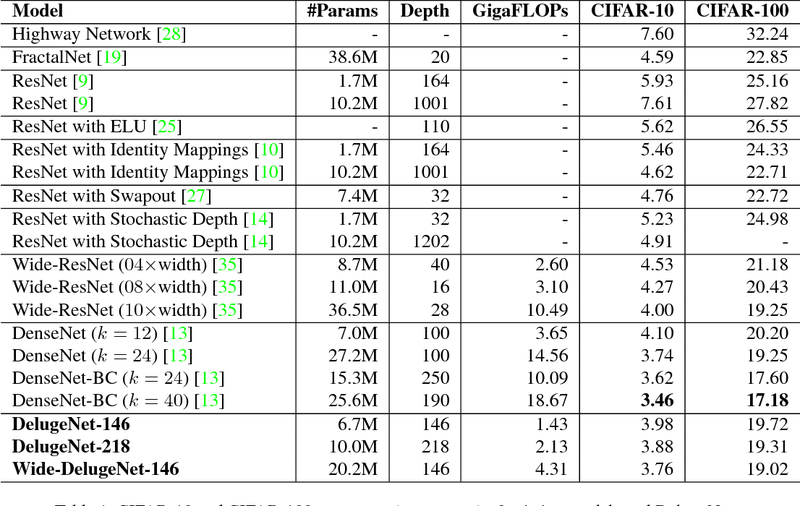 The effectiveness of SDPoint, as both a cost-adjustable inference approach and a regularizer, is validated through extensive experiments on image classification. Typical person re-identification (ReID) methods usually describe each pedestrian with a single feature vector and match them in a task-specific metric space. However, the methods based on a single feature vector are not sufficient enough to overcome visual ambiguity, which frequently occurs in real scenario. In this paper, we propose a novel end-to-end trainable framework, called Dual ATtention Matching network (DuATM), to learn context-aware feature sequences and perform attentive sequence comparison simultaneously. The core component of our DuATM framework is a dual attention mechanism, in which both intra-sequence and inter-sequence attention strategies are used for feature refinement and feature-pair alignment, respectively. Thus, detailed visual cues contained in the intermediate feature sequences can be automatically exploited and properly compared. We train the proposed DuATM network as a siamese network via a triplet loss assisted with a de-correlation loss and a cross-entropy loss. We conduct extensive experiments on both image and video based ReID benchmark datasets. Experimental results demonstrate the significant advantages of our approach compared to the state-of-the-art methods.